What should you prepare with all those apples and pumpkins? Many people confront this question after the celebratory hayride and apple and pumpkin-picking excursion. I love to try exotic recipes with my pumpkins. This year I am making a fall dish from Armenia called Ghapama. This vegan dish, dramatically presented inside a whole roasted pumpkin, can be the star of your Thanksgiving table. Did you know that eating a lunch of eggplants, chickpeas, and a green salad could get you burned at the stake during the Middle Ages? This information was concealed in the archives of the Spanish Inquisition. In 1991, access to some of the records was granted to scholars for the first time. David Gitlitz and Linda Davidson were given the opportunity to examine some of these documents. They co-wrote A Drizzle of Honey based on the information they uncovered in the chronicles of the Inquisition trials. It is a scholarly masterpiece and a cookbook that reveals the customs and prejudices of medieval Spain. The book describes the types of foods that aroused suspicion mentioned in the archives of the Spanish Inquisition. According to Dr. Gitlitz, the Inquisitors looked for Jewish ritual foods, such as matza (unleavened bread) and haroset (a mixture of nuts and dry fruits), which would be prepared for Passover. They also examined the ways in which these foods were prepared, such as not cooking on Saturday (the Sabbath). The authors extracted this information from accusations and confessions recorded by the Inquisitors. In order to figure out what the recipes may have been, Gitlitz and Davidson referred to medieval cookbooks, translating from Catalan, Portuguese, Castilian, and Arabic. Only six cookbooks written before 1492 in the Iberian Peninsula survive to the present. The ingredients described depended on the region and the season. Since the Inquisition lasted seven hundred years, the time period during which each book was written was also relevant. Some telltale ingredients and cooking techniques flagged by the Inquisition included frying in olive oil, butchering one’s own meat and soaking it in salt water, and serving foods at room temperature. Every recipe is accompanied by a narrative of what the accused had done to arouse suspicion, and to be reported to the Inquisitors. Bathing, wearing clean clothes, and enjoying food with friends were all actionable wrongs, used to accuse people of observing Shabbat, the Jewish Sabbath. Some recent converts to Catholicism got in trouble for not knowing when to abstain from certain foods, according to the Catholic tradition. In one case, Aldonza Lainez served a cheese casserole to some workers during Lent. She was reported to the Inquisition, and had to explain this oversight. You may try some of these forbidden recipes on November 5, 2017 at the Mikveh Israel Synagogue. Chef Chad Satanoffsky will prepare several dishes from A Drizzle of Honey. The social hour will begin at 6:00 PM, and dinner will be at 7:00 PM. Dr. Gitlitz will attend. You may sign up just for the dinner. Please go to the a la carte options. The cost is $55. If you would like to explore this topic further, here is the information about the Society of Crypto-Judaic Studies conference. Simchat Torah is the celebration of the never-ending circle of Torah. One wonderful way to celebrate is by baking cookies in the shape of the first word in the Torah. Simchat Torah services begin at sunset on Thursday, October 12. The last chapter of Deuteronomy is read, followed by the first chapter of Genesis. This is the only time of the year that the Torah scrolls are removed from the ark at night. The first sentence of Genesis in Hebrew. The whole family can have fun mixing sugar cookie dough, rolling it out, and cutting out the shapes of the Hebrew letters. You may use Alef-Bet cookie cutters, or a knife. A fun tactile activity is to sculpt the letters with the dough. This is much less fussy than rolling and cutting it. Refrigerated sugar cookie dough is perfect for this if you are pressed for time. Alternatively, if you are too busy to bake, you may purchase some Alef Bet cookies. If you like, you may decorate your cookies with icing and colorful sugar sprinkles. As you bite into each sweet letter, you will be reminded of the sweetness of learning Torah. Cover and refrigerate for 2 hours. Cut out the letter shapes. Place the cookies on a cookie sheet covered with parchment paper. As members of the Mexican Jewish community begin to plan their Rosh Hashanah menus, they discuss recipes for dishes such as gefilte fish and keftes de prasas (leek fritters). Most families preserve the Ashkenazi or Sephardic recipes they brought with them to Mexico. They also incorporate some local exotic ingredients to enhance the celebration. One dish that has made its way to many Rosh Hashanah tables is chicken cooked in a tamarind sauce. Tamarind chicken blends the sour flavors of the tamarind fruit with the complex sweetness of sugarcane and the smoke-dried spiciness of the chipotle pepper. The combination of these ingredients makes for a fun and interesting new year: a little bit tart, a little bit sweet and a little bit spicy. Tamarind chicken is a Mexican dish that was made possible by the Spanish colonists. Tamarind is a very tart fruit encased in a leathery brown pod. Originally from Africa, it was nicknamed the “Indian date” because it has grown in India for so long. The tamarind was brought to America by the Spanish conquistadors. Its acid notes are tempered in tamarind chicken with sweetness from the sugarcane. Christopher Columbus was the first to import sugarcane to America, planting it in Hispaniola (Haiti and the Dominican Republic). Once the colony of New Spain was founded, which included what is now the country of Mexico, sugarcane plantations were established. The Spanish colonists learned to tame the tartness of the tamarind with the smoky, caramelly sweetness of the piloncillo. Piloncillo is made from crushed sugarcane. The sugarcane is pressed and its juice is collected in a pot. Then it is boiled and poured into a mold. When the juice dries, it hardens into a cake. Piloncillo has a stronger and richer flavor than brown sugar. For tamarind chicken, the tartness of the tamarind and the sweetness of the piloncillo are accentuated with the smoky heat of the chipotle pepper. When the Spaniards arrived, the Nahuatl tribe lived in the area that is now Mexico. They introduced the colonists to the chipotle, a jalapeño pepper that is preserved by drying in smoke. Jalapeños are native to Mexico, and the name chipotle comes from the Nahuatl word chilpoctli, which means smoked chili. Chipotle peppers had been cultivated and consumed for thousands of years before the Spaniards arrived in Mexico. Newcomers to Mexico, including the Jews, have incorporated them into their cuisines. Chipotle peppers add subtle heat to the tamarind chicken. Place the water, tamarind paste and piloncillo in a pot. Bring to a boil, and then turn off the flame. Allow the mixture to cool to room temperature. Pour the tamarind mixture into a blender. Add the garlic, balsamic vinegar, and chipotle pepper. Process until smooth. Place the chicken in a large glass bowl, and pour the tamarind marinade over it. Mix it well, so the chicken is coated on all sides. Pour the chicken and marinade into a casserole dish. Cover tightly with aluminum foil, and bake at 350 °F for 30 minutes. Take the foil off, and allow to bake for 10 more minutes. King Solomon’s Table, by James Beard Award-winner Joan Nathan, is a fascinating journey of Jewish recipes that takes readers through centuries and across continents. Chefs at Whole Foods were so impressed with the recipes from this book that they partnered with Nathan to make some of the dishes available at stores for the High Holidays. As a result, this Rosh Hashanah you may order traditional Ashkenazi dishes from Whole Foods, as well as specialties from the Sephardic and Mizrahi table. Whole Foods is making an effort to reach out to the Jewish community with ancient recipes that are now new again. Long forgotten grains, such as freekeh, have been incorporated into some of these recipes. People who love “King Solomon’s Table,” but don’t have the time or inclination to cook the recipes for their Rosh Hashanah dinner, will now have the convenience of being able to purchase some of Nathan’s recipes at Whole Foods (available only in the Mid-Atlantic states). Orders may also be placed online. This year, it is possible to purchase Jewish Italian cod, sweet and sour cabbage, seven species salad, sweet noodle kugel and tahini cookies. For those who would like to cook a recipe from “King Solomon’s Table,” here is a delicacy from the Syrian Jewish community. Preheat the oven to 350 °F. Toast the pine nuts by stirring often in a small dry skillet over medium heat, until lightly brown, about 5 to 10 minutes. Remove to a medium bowl. Sauté the onions in the oil in a nonstick frying pan until lightly caramelized, about 20 to 30 minutes. Add the onions to the pine nuts, and then add the ground beef, garlic, Aleppo or Marash pepper, cumin, allspice, cinnamon, salt and pepper. Break the eggs into the bowl and stir in the tamarind and tomato paste or ketchup, mixing gently with your hands until just combined. Then add just enough breadcrumbs for the meat to become clammy. Take about 1 1/2 tablespoons of meat and slap the beef several times into the center of the palm of your hand to emulsify. Shape into small meatballs, about 1 1/4 inches in diameter. Put on two rimmed baking sheets and bake for about 20 minutes, or until done but still juicy. You should get about 36 meatballs. While the meatballs are baking, make the sauce: Heat the oil in a medium saucepan set over medium-high heat. Add the onions and sauté until transparent. Then add the tamarind, pitted sour or frozen cherries, dried cherries, lemon juice, allspice, salt, pepper, beef stock and wine. Simmer together for about 20 to 25 minutes, until the sauce is slightly thickened. Mix the meatballs with the sauce and serve, sprinkled with chopped parsley or cilantro, over rice. Note: You can make this dish ahead and freeze if you like. Defrost in the refrigerator overnight, and then reheat in a pan, covered, over medium heat until warm. StandWithUs/Philadelphia is running a truck ad that will circle the city of Philadelphia prior to Roger Waters’ concert on Wednesday, August 9, 2017. The truck will begin its circuit in downtown Philadelphia at 12:00 PM and head to the Wells Fargo Center arriving at 6:00 PM. It will be visible to concert-goers until 8:00 PM. Say NO to Racist Attacks Against Israel By Roger Waters! “Roger Waters has a history of blaming only the state of Israel for the lack of peace. He supports the boycott campaign against Israel, which does not promote peace, does not create a better life for Palestinians, and whose agenda is the destruction of the State of Israel. He has even flown a helium pig with a Star of David on it during his concerts,” states Joseph Puder, executive director, StandWithUs/Philadelphia. “Waters claims to be against all forms of injustice, but where is his outrage at the Palestinian Authority which incentivizes murder of Israeli civilians by paying subsidies to terrorists in Israeli jails and their families? StandWithUs is sending a clear message to Waters that his double standard, hatred and lies against Israel will not go unanswered,” Puder continued. Three wonderful inventions of the late 19th Century made possible a brand new type of no-bake cake. Iceboxes, instant coffee, and commercially baked cookies arrived to make life more convenient. In the summer, creative housewives made use of all of them to create a deliciously cold dessert, the icebox cake. Before there were electric refrigerators, people had a special insulated cabinet in their kitchens to keep food cold. Ice was harvested from lakes during the winter. Every day a block of ice was delivered to be placed on the top shelf of the icebox. During the course of the day, it would melt and drip into a special pan placed beneath. The pan had to be emptied, and the ice block replaced every day. The search for convenience also involved creating foods that would not need to be refrigerated. 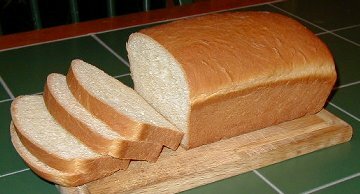 Sally Lunn Bread – A large sponge cake-like bread, more like a bread than a cake that is either yeast or baking powder based.